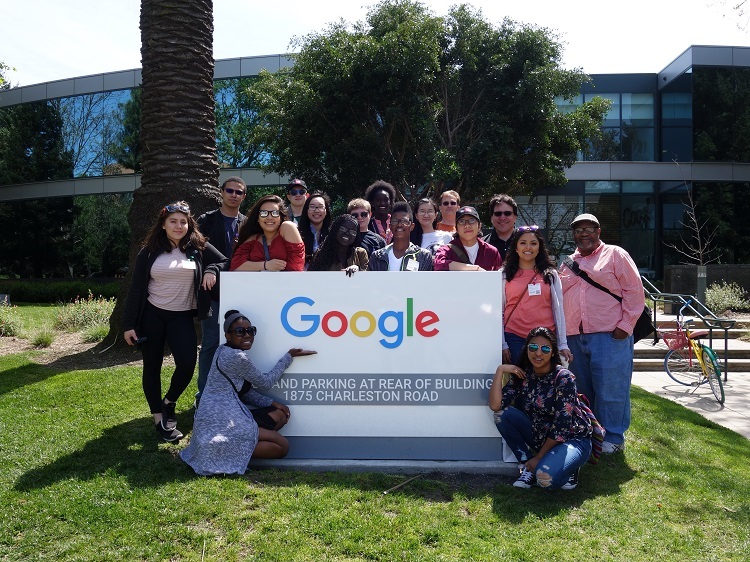 Over their April spring break, Information Technology Academy (ITA) students traveled California’s Silicon Valley to complete a week-long study tour of a region known for technology innovation and entrepreneurship. 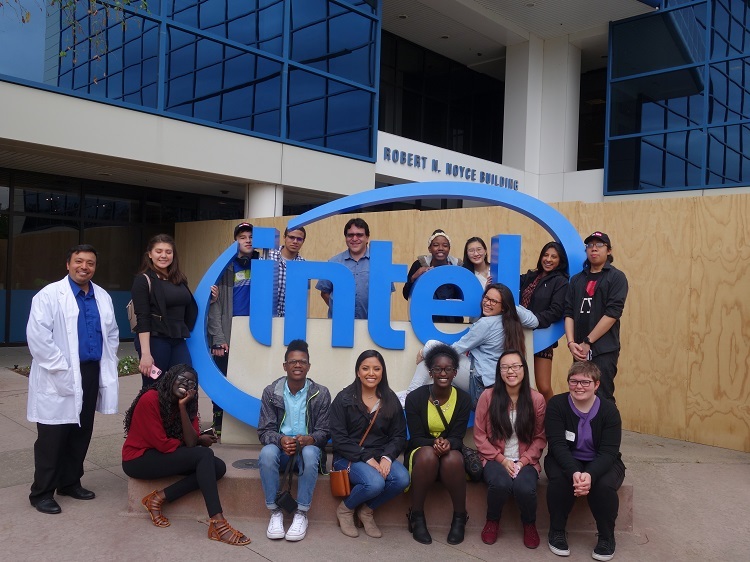 Ten ITA Madison students and one student from ITA’s Tribal Technology Institute (ITA-TTI), toured major technology companies, including Adobe, Cisco, Google, intel, Intuit, and Zendesk. 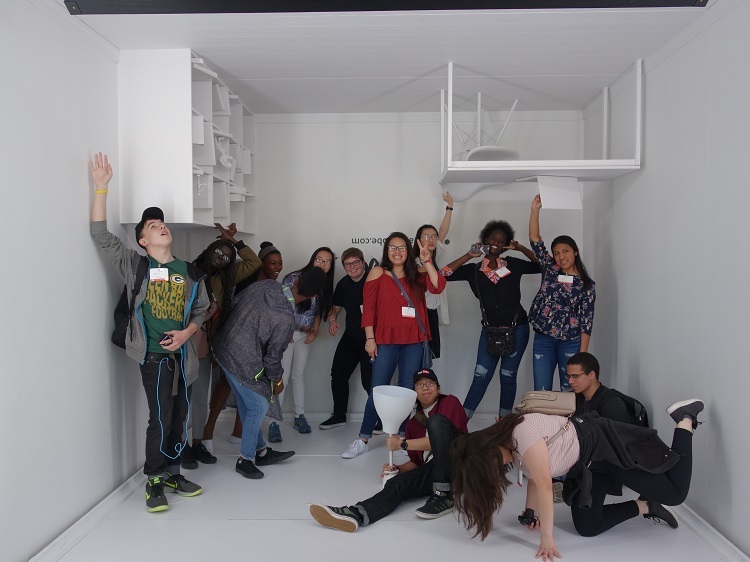 At each company, students acted as program ambassadors, delivering presentations about the experiences and skills they have gained from participating in ITA. For most students, the trip was their first experience on the West Coast. Many were surprised by the traffic, awed by San Francisco’s Pier 39, and excited about eating poke, a fish salad served as an entrée or appetizer in Hawaiian cuisine. The Silicon Valley trip 2017 was a huge adventure … During the corporate visits, I felt a little out of place at first. But, after learning more information about what really happens on the inside, I learned that I could work there if I put my mind to it. Zendesk seemed to have a strong belief and tradition of helping and giving to others. The Silicon Valley Trip was a once in a life time experience I will never forget. During this experience, I learned and expanded my horizons on the different IT occupations there are … I learned a lot about myself as a learner and I learned that my interests in the IT occupations has expanded and I can now use that valuable information in the near future. Some of my favorite parts about this trip were visiting Cisco and trying out Spark, an app Cisco developed. 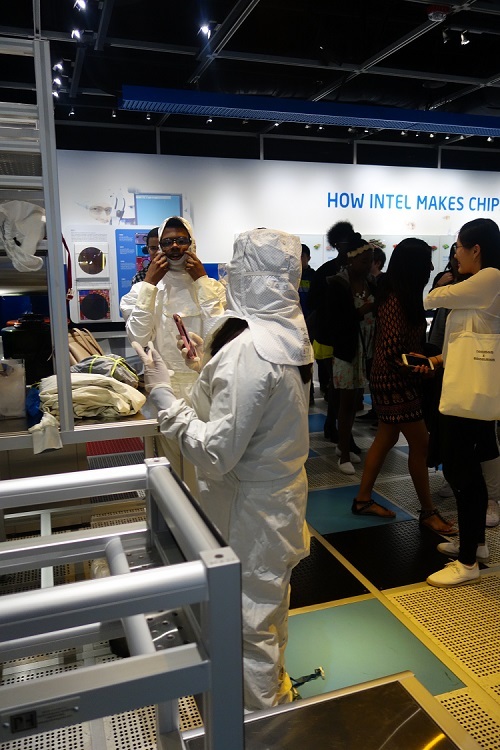 I also really enjoyed the Intel tour and getting to do hands on activities. I think that the trip was an amazing experience and has overall changed me as a person for the better. One of my favorite parts was going to Stanford and getting a presentation by the robotics professor. He was truly passionate about his work and the field of robotics. Overall, Silicon Valley gave me the chance to explore the major companies and how they worked on the inside, making them not as intimidating as they were before we went to visit them. This year the annual ITA Silicon Valley Trip was amazing and an unforgettable experience to me. The overall feeling of being in a difference environment gave me a sense of happiness that I rarely experience, due to the fact that I don’t travel as much. But, when I do, that feeling is the best in the world. The amazing corporations we visited included: Google, Intel, Adobe, Zendesk, and others. They were places that I could see myself working at one day in the future. …. What I learned from the corporations was really interesting and made many things make sense in my head. The backgrounds of each one were unique in their own way that showed me once again the amazing things we as humans can do. Overall, the trip is something I will never forget because of the many things I did for the first time, including my first plane ride. Every day, the corporate visits and tours were extremely interesting, and I felt lucky to have the opportunity. 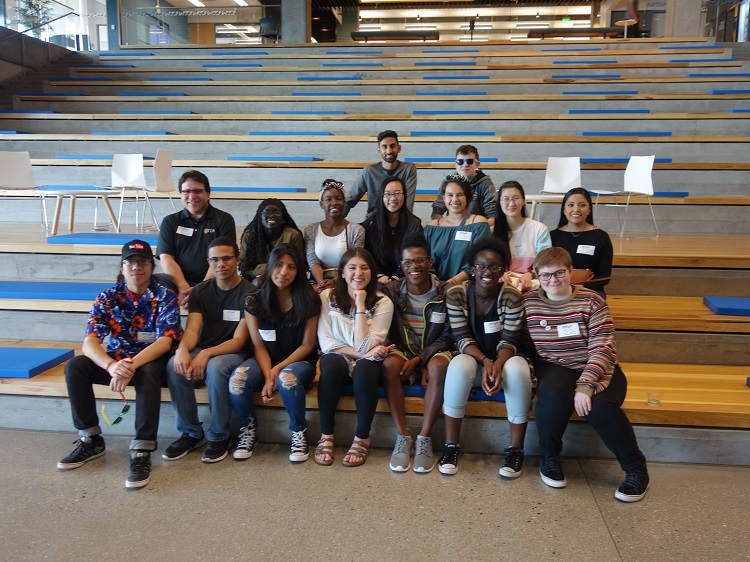 … I think Zendesk was my favorite company to visit because they really explained how working at a tech company was like and the different career paths that their employees took. A lot of them didn’t actually major in computer science or tech-related things, which was surprising. Visiting the companies was a good experience and helped me learn, again, what working at a tech company is like. This was my first time traveling to California and it was amazing to see all the sights. The experience of seeing the different styles of buildings in San Francisco, the beach, the food, and the overall culture is definitely worth going on this Silicon Valley trip. I learned a lot and still feel very lucky to have gotten all the opportunities to tour the companies. Visit to Adobe Systems, the computer software company focused on the creation of multimedia and creativity software products as well as rich Internet application software development. 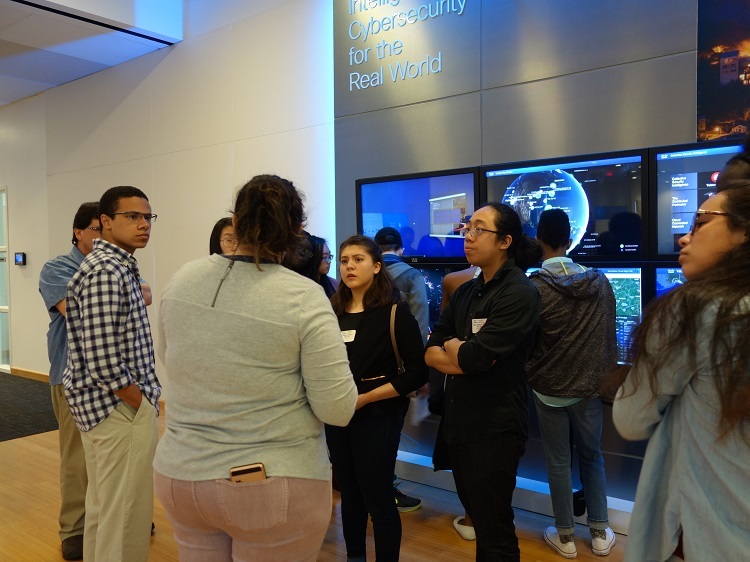 Visit to Cisco, the technology conglomerate that develops, manufactures, and sells networking hardware, telecommunications equipment, and other high-technology services and products. 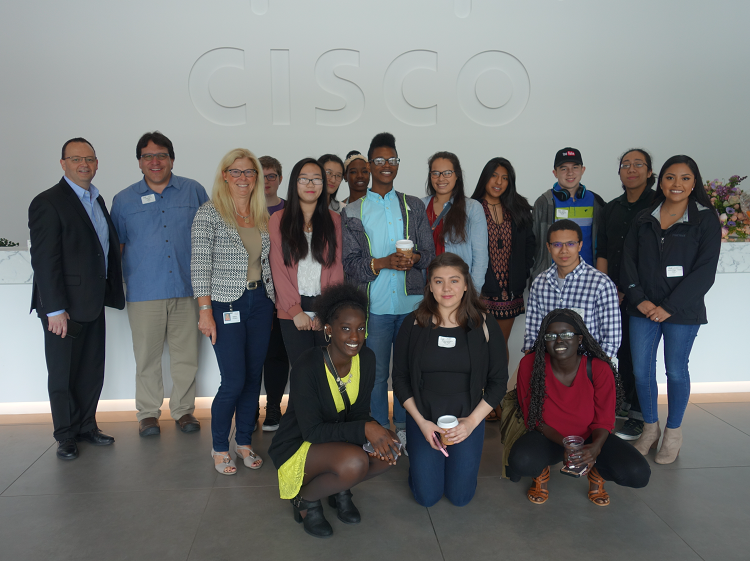 ITA students tour the Cisco headquarters in San Jose, California. 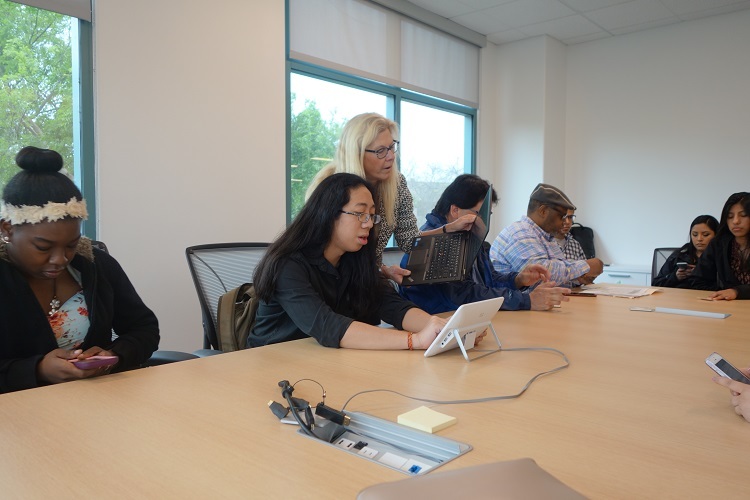 Nancy Jo Thomas, Global Partner Director, shows ITA student Imran Khirularziman the Cisco Spark app. Visit to Google, the technology company specializing in Internet-related services and products, which include online advertising technologies, search, cloud computing, software, and hardware. 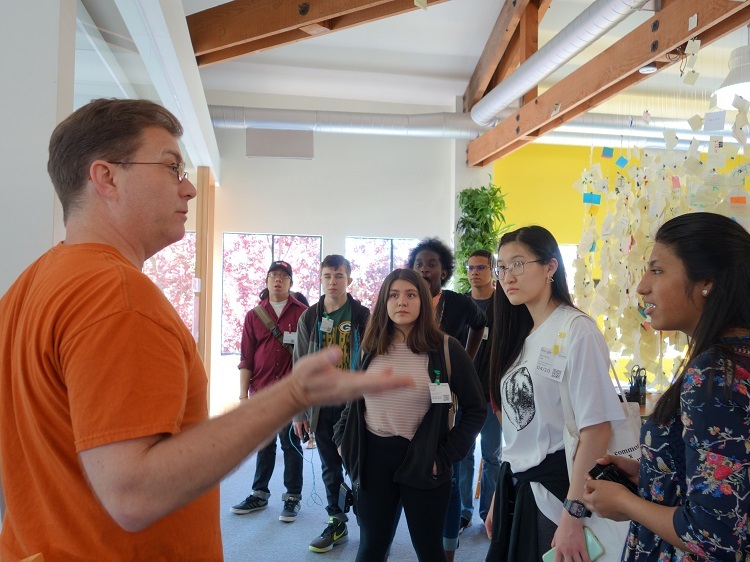 ITA students tour Googleplex, the corporate headquarters complex for Google. Visit to intel, the world's largest and highest valued semiconductor chip makers based on revenue and inventor of the x86 series of microprocessors: the processors found in most personal computers (PCs). Intel supplies processors for computer system manufacturers such as Apple, Lenovo, HP, and Dell. Intel also manufactures motherboard chipsets, network interface controllers and integrated circuits, flash memory, graphics chips, embedded processors and other devices related to communications and computing. ITA student Dedrick Johnson suiting up to tour intel. 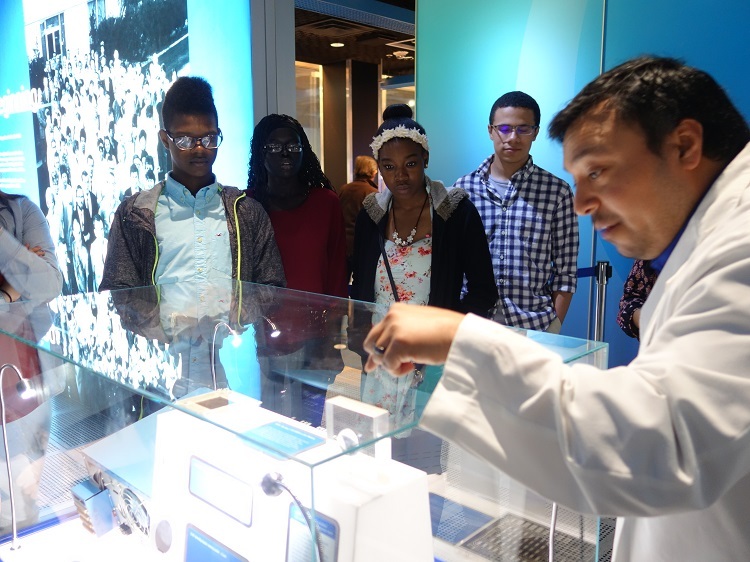 ITA students Dedrick Johnson, Nyagoah Biel, Kiara Dean, and Devin Porter getting a closer look of some of intel’s products. 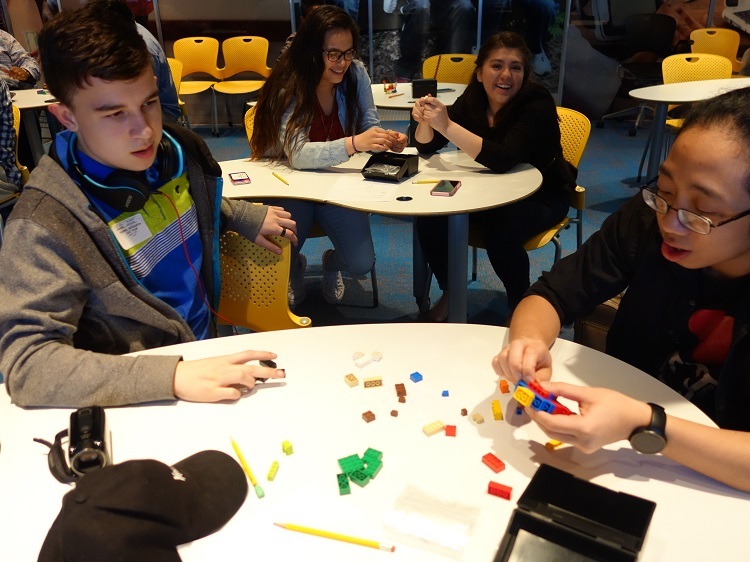 ITA students Gabe Sepulveda and Imran Khirularziman participating in an activity at intel. 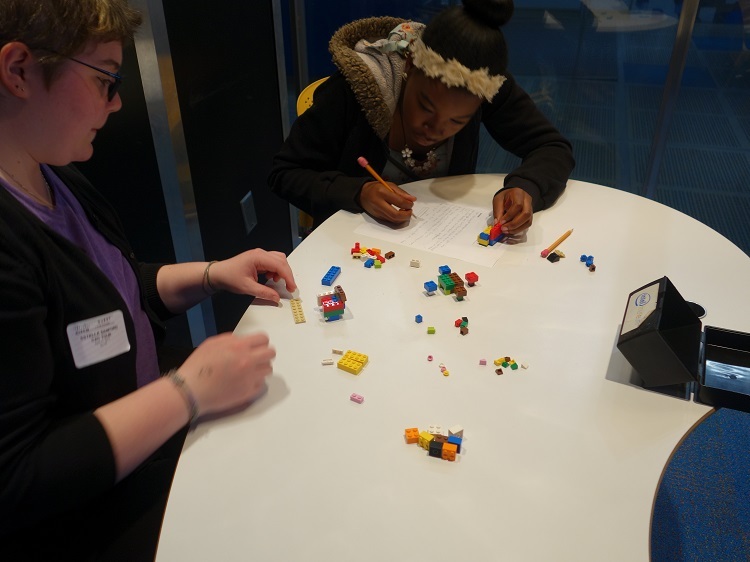 ITA students Stella Sanford and Kiara Dean participating in an activity at intel. Visit to Intuit, a business and financial software company that develops and sells financial, accounting and tax preparation software and related services for small businesses, accountants and individuals. 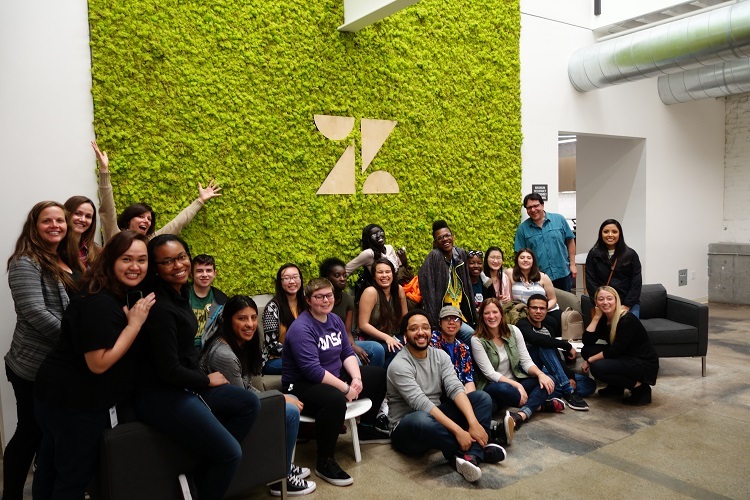 Visit to Zendesk, a customer service software company that builds software to help companies improve customer relationships through higher customer engagement and better customer insights.